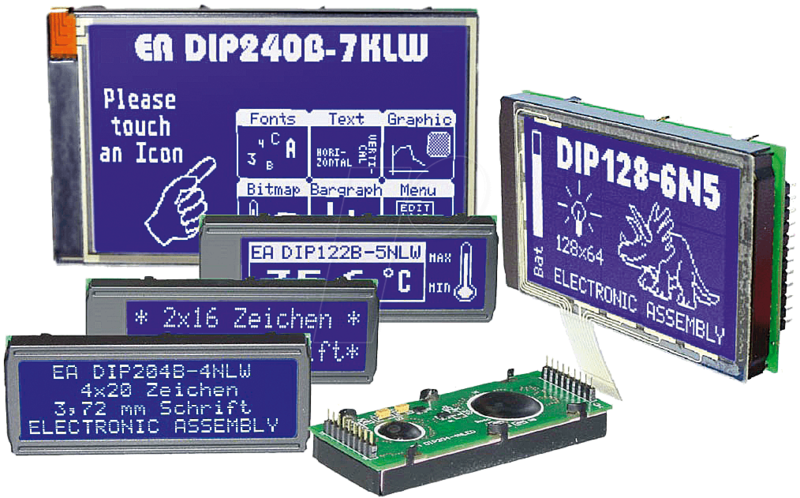 LCD display with a built-in pin header for quick and easy PCB mounting. Identical dimensions and pin occupancy allow the displays to be interchanged, if the appropriate software is available. A future upgrade is therefore possible at any time.